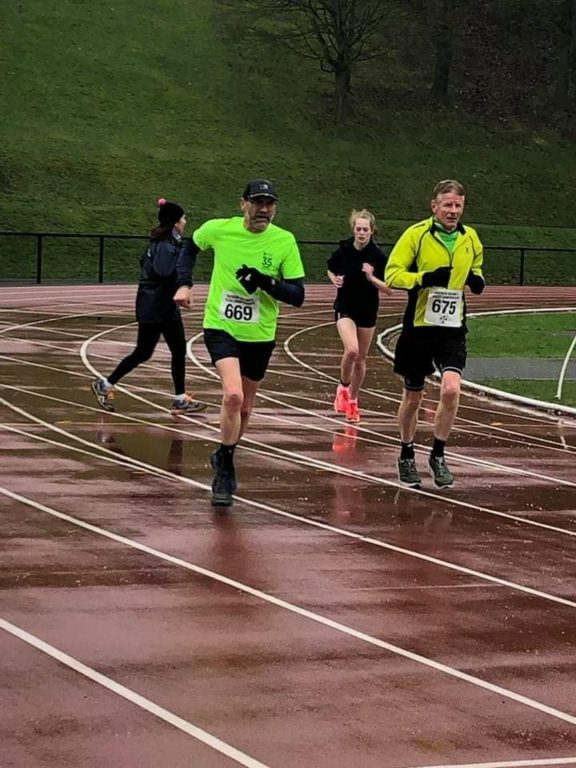 It was a relatively quiet week with regards to racing, as winter delivered us the first proper snow of the season, and a large portion of the club continued training towards their spring marathon goals. 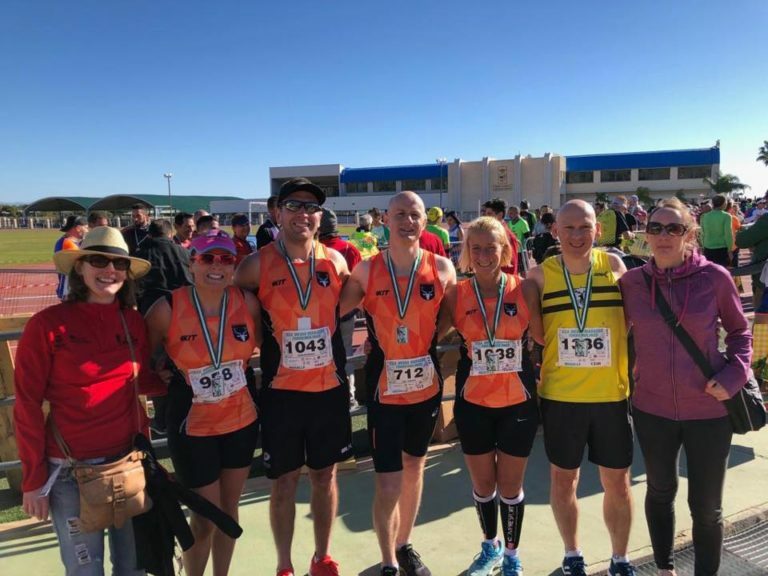 However, a few Orangegrovers escaped to sunny Spain for a half-marathon, and the ever-active Brian Todd managed to fit in two races over the weekend. Thanks go to Brian and to Gerald Harvey for the weekend race reports. Moira Cross Country, Saturday 2nd February 2019. The ladies race was won by Laura Bickerstaff (Dromore) in 15.43 and the men’s race by Jonathan Scott (Mourne Runners) in 19.12. Lagan Valley AC 5K Charity Run, 3rd February 2019. The weather was overcast and damp on arrival at Mary Peters Track for John Glover’s annual charity run. Recent colds may have taken their toll as pinning on the race number became a major chore. Then the TomTom resolutely refused to lock on to a signal when loitering near the timing mat. Patience must have been wearing wafer thin as Glenn Grant muttered something about my watch and Brian Todd suddenly took off without me around the wet track (he did slow down thereafter). The route was through the Lagan Valley Regional Park by the towpath to Shaw’s Bridge, doubling back by circuitous trails, up to the tarmac paths near Malone House, then winding through the QUB Playing Fields (where we dodged a volley of footballs) and back along the edge of the forest to Mary Peters Track. Not easy. The first person to finish was Peter Carty in 18:15 and the first lady home was Alice Monaghan in 21:21, in a field of 107 runners. Only two people from OAC ran: Gerald Harvey, 27:06; Brian Todd, 27:32. Many prizes were raffled and £990 was raised for the Mary Peters Trust. ChampionChip Ireland provided chip timing free of charge. Torremolinos International Half Marathon, 3rd February 2019. 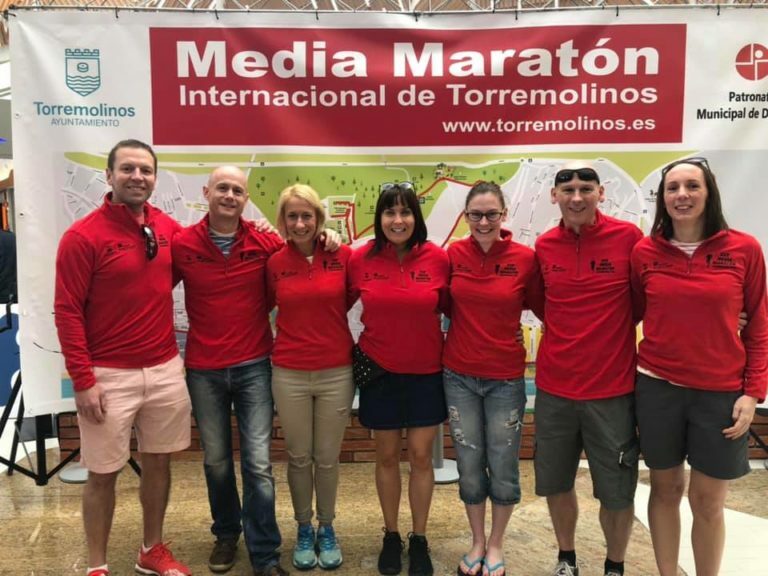 A small group of Orangegrovers cleverly used the guise of running a half marathon to swap cold, rainy Belfast for a short break on the Costa del Sol, and who could blame them? 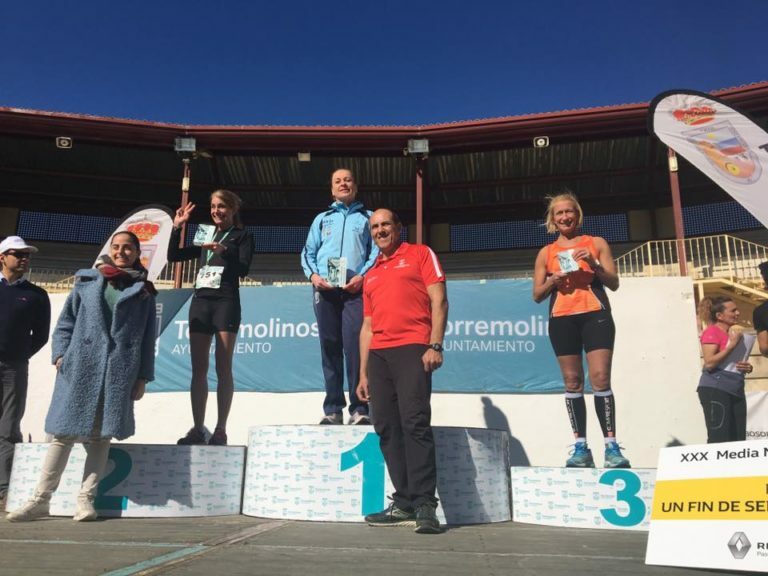 On race day the runners were treated to the clear skies,sunshine, and favourable temperatures (16C) that they had hoped for. It wasn’t all plain sailing though, with a stiff breeze and a few hills adding some difficulty, which makes the fast times achieved even more impressive. Special congratulations to Ali McConnell for taking 3rd in her age category, and to Gavin McGucken on a very impressive club debut, one to watch! With so few members racing over the weekend, many took the opportunity to integrate parkrun into their long runs and as a result here was a big club turnout at Victoria Park, with 26 Orangegrovers taking part. 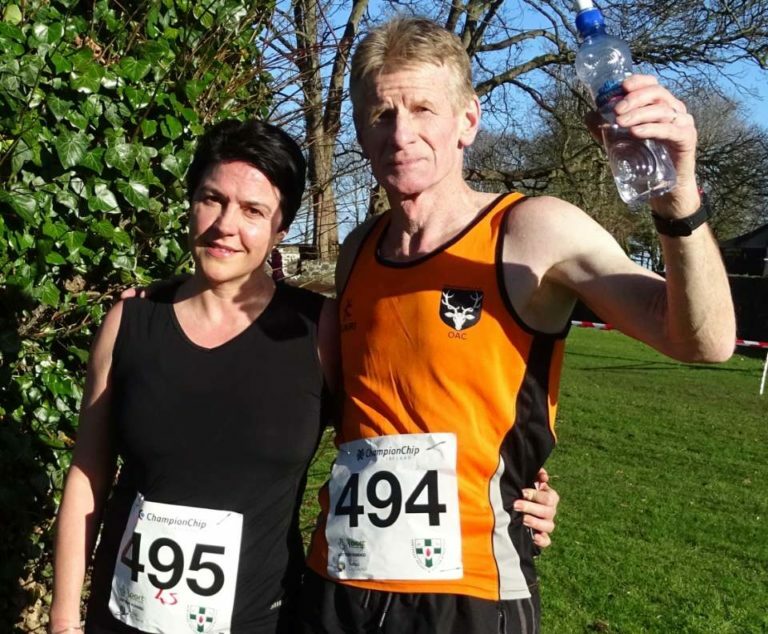 Elsewhere, Andy McIntyre was 1st finisher at Stranmillis, while Victoria Murray and Judith Dalzell both reached their 50 Parkun milestones at Victoria and Ormeau parks repectively.